Originally part of a working farm, this cottage has been delightfully converted to offer accommodation for groups of up to four people. 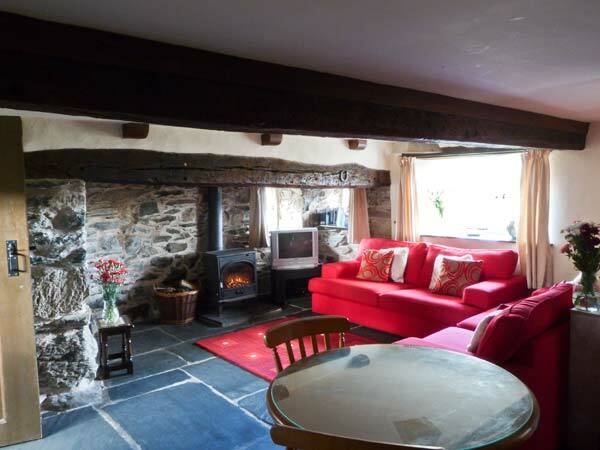 It retains many original features such as exposed beams, slate flooring and a wood-burning stove to relax in front of on chilly winter evenings. 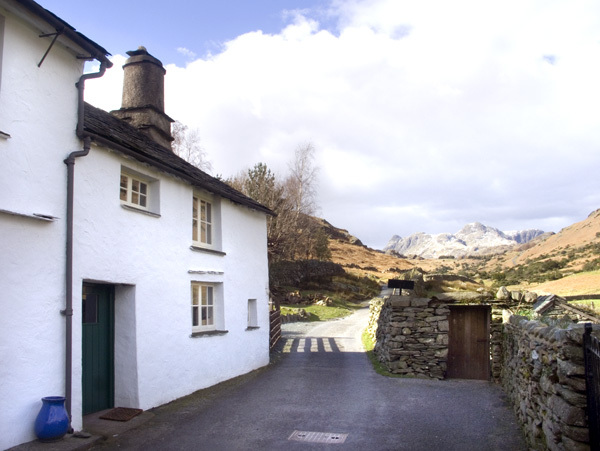 This atmospheric hideaway is served by stunning views of the Langdale Pikes and is close to a number of walks and cycle-trails. The living accommodation has been designed in an open-plan style and there is a well-equipped kitchen although, should you decide to have an evening out, the local pub is only a mile away. Electric heaters with woodburning stove. Electric oven and hob, microwave, fridge/freezer, washer/dryer, dishwasher, TV with basic Satellite, DVD, radio/CD, small library of books. Fuel, power and starter for fire/stove inc. in rent. Bed linen and towels inc. in rent. Cot and highchair available on request. Off-road parking for 2 cars. Rear patio with furniture. Sorry, no pets & no smoking. Shops and swimming pool 3 miles, pub 1 mile. Note: Property is situated on a working sheep farm. Note: Property is suitable for a maximum of 4 people including infants. Note: Owner runs a B&B next to property, which sleeps up to 4 people. Contact owner directly for details.